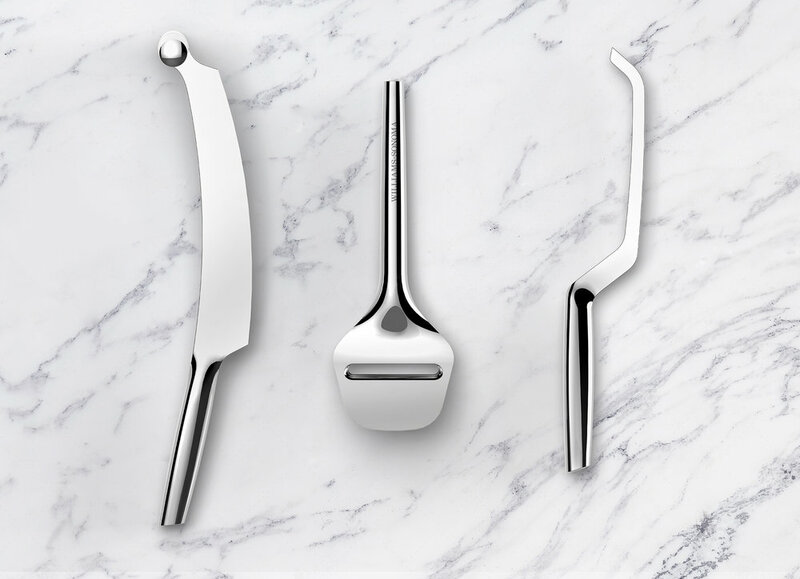 The Williams-Sonoma Cheese tools are uniquely designed to break down larger blocks of cheese. Each tool blade is specially tuned for soft and hard cheeses. The design process was an exercise in manufacturing simplicity. Each tool is produced from two stamped parts, welded, capped and polished. This process allows for a fluid transition from the handle to the tool head, which is seamless and easy to clean.